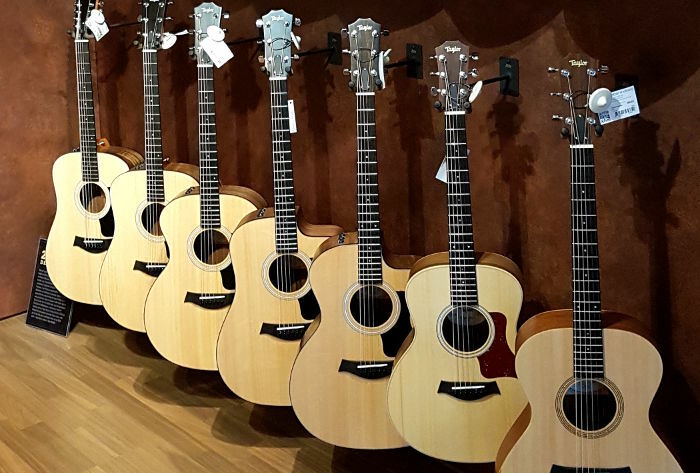 Finding the best guitar for your child doesn’t mean to get just a high quality guitar. The best guitars for kids are the ones that fit their needs in terms of size and playability. 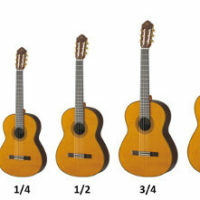 There are different guitar sizes and you should pick up at first the right size for your child. Most kids start playing the guitar around 8 or 10 years. 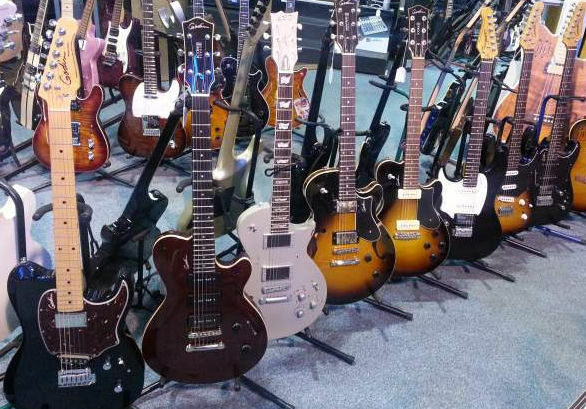 So 36″ guitars (often called 3/4 size guitar) are the most sold guitars for children at guitar stores. Electric guitars come also with steel strings but they are much thinner and the tension is a way weaker than on acoustic guitars. I think an electric guitar can be a good choice for older kids that are absolutely fascinated by this type of guitar. This might be the case if their favourite band or idol plays an electric guitar. In this case, you may consider buying an electric guitar because it can be huge motivation for them. One of the most sold guitars for kids come from Yamaha. They have nylon-string guitars in the most common sizes and they are good quality for a quite affordable. The Yamaha CGS series are great entry-level guitars with a nice finish and sound. You find Yamaha guitars in nearly every guitar courses because many teachers recommend them to beginners. Unfortunately, they don’t have 1/4 size guitars. However, they are other guitar brands that have 1/4 size guitars in their range, such as Stagg, which is also a known brand for beginner guitars. 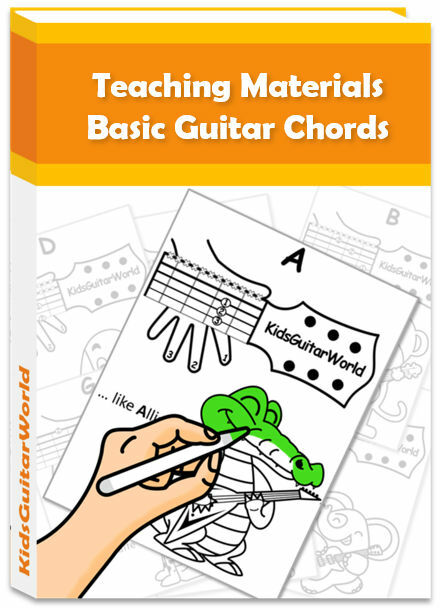 There are not as many electric guitar models for kids as nylon string guitars out there . However, there are a few ones that are especially designed for children. The Squier Mini Strat is a 3/4 size electric guitar and it is without doubt my favourite small electric guitar. It has a great quality and playability for the price. Dont forget that you need for an electric guitar also an amplifier and a cable. That’s why, I often recommend to buy a bundle where you get all the necessary stuff on the top of the guitar for a good price. 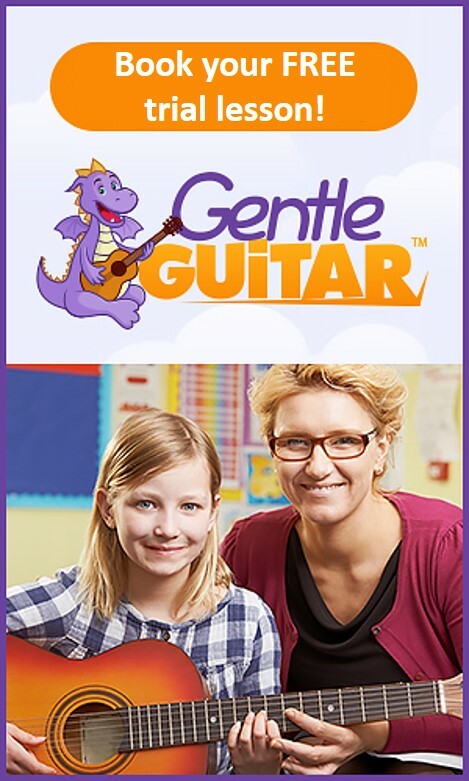 You are not sure if a guitar is the right instrument for your child. Well, in this case take a look at other options as well. 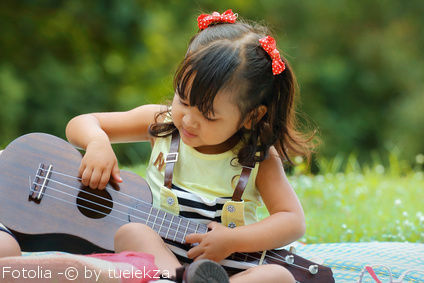 There are instruments that are very similar to guitars and that might be suitable for your child.In my opinion ukuleles can be a great alternatives for young children. They are small and consequently easy to handle for them. In addition to that, they have got only 4 strings instead of 6 string what you know from guitars. This makes playing and learning the ukulele quite easier. 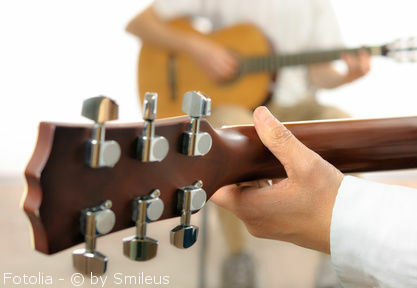 Have you already heard about guitaleles? They are mix of a guitar and ukulele. They are a bit bigger than a ukulele and they sound thank to their tuning like a ukulele. However, in terms of construction they are more like a guitar because they have also 6 strings. If you think your child might be too young for an actual musical instrument and he is not ready yet for learning seriously an instrument, then you should better go for a good toy guitar. Toy guitars are good introduction and later on, you can still buy them an actual guitar. There are even toy guitars, which are especially designed for toddlers.